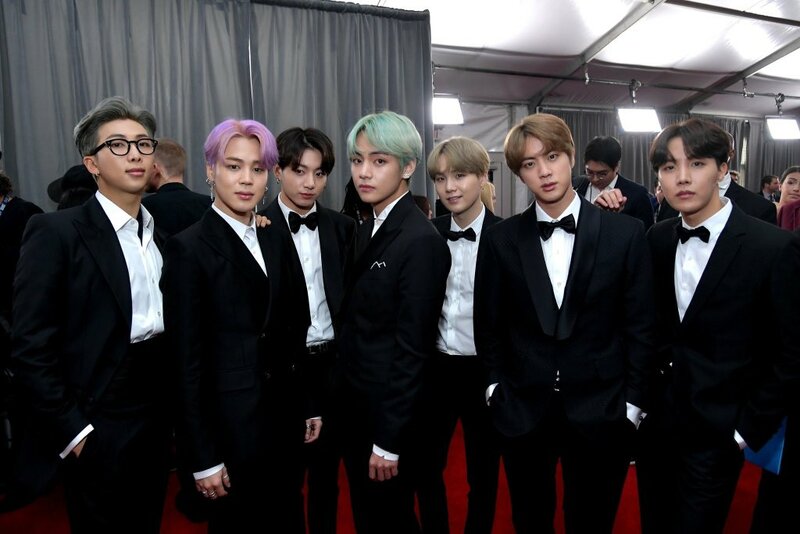 K-Pop sensation BTS arrived in style at the 2019 Grammy Awards, clad in impressive tuxedos. 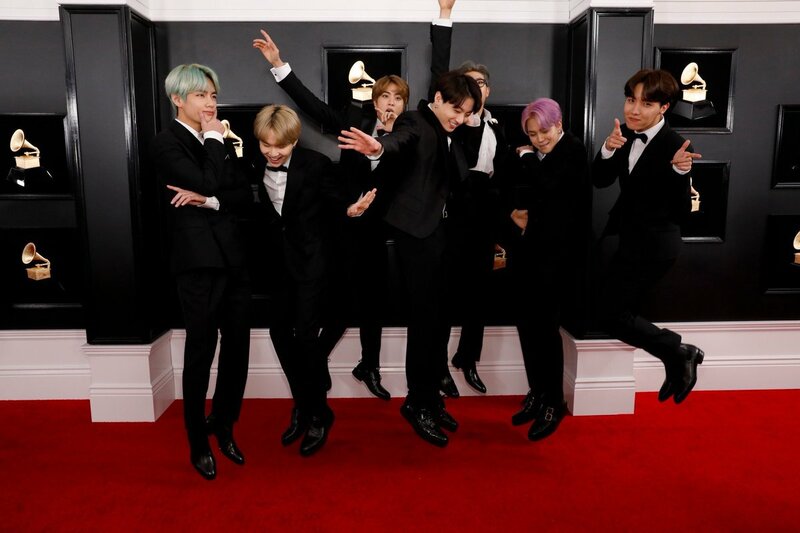 The Korean boy band suffered an unfortunate loss during the pre-awards ceremony, losing the Best Recording Package award, but still put on a cheerful appearance as they arrived for the 2019 Grammys, held in Los Angeles. 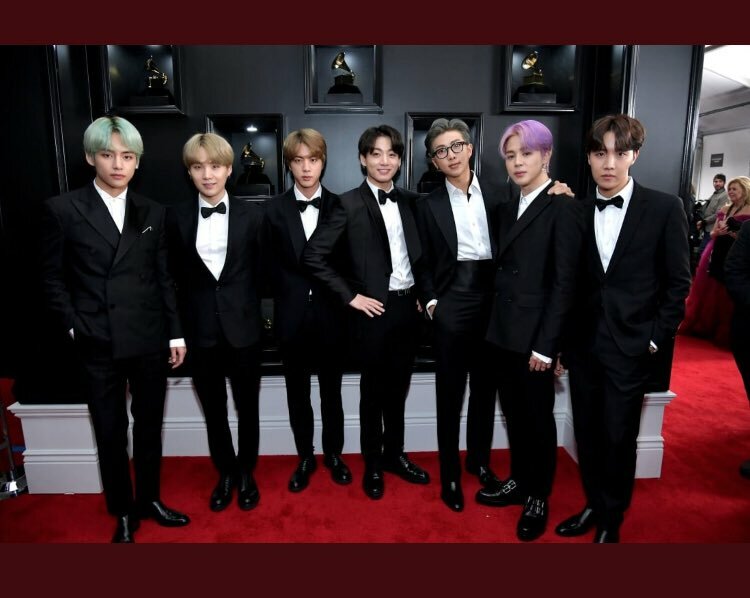 BTS, acronym for Beyond the Scene, have a massive fan following all over the world, and the social media sensation became the first K-Pop group to receive a Grammy nomination, a huge feather in their cap. 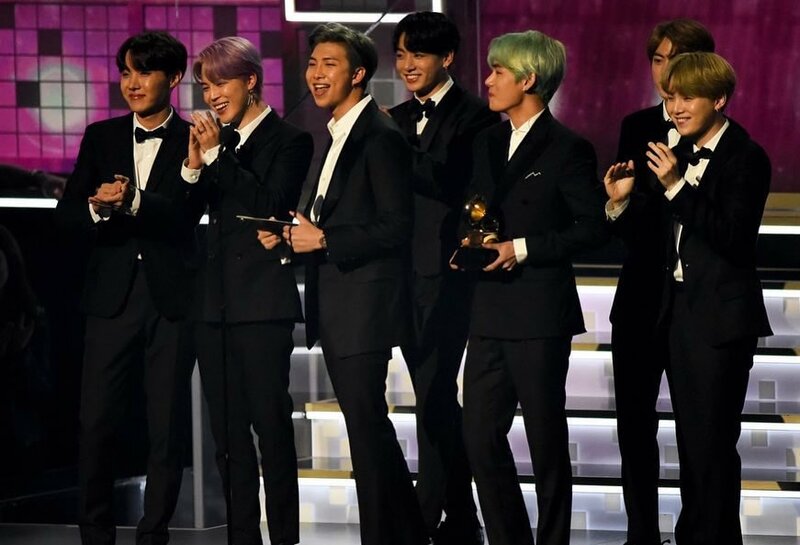 Their 'Love Yourself: Tear' album's nomination became the first Korean album to ever to be recognized in any category by the Grammys and the Recording Academy. 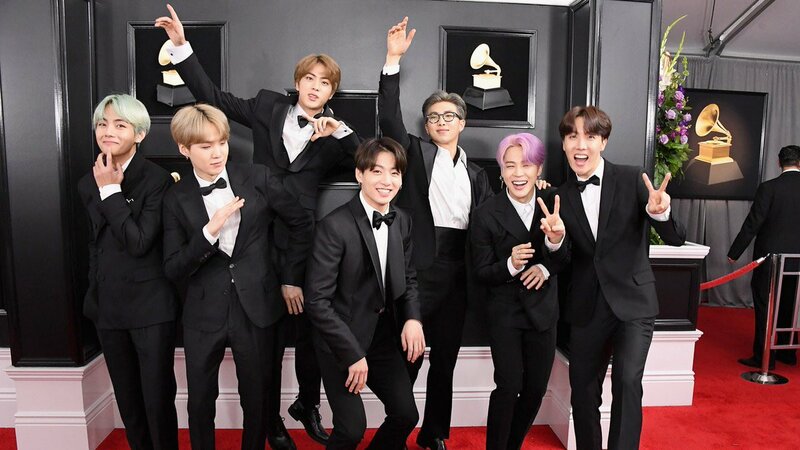 Putting on a joyful front and enjoying themselves at the Grammys, the boy band, consisting of Jin, Suga, J-Hope, RM, Jimin, V and Jungkook, all wore smart black tuxedos and put on polished image. 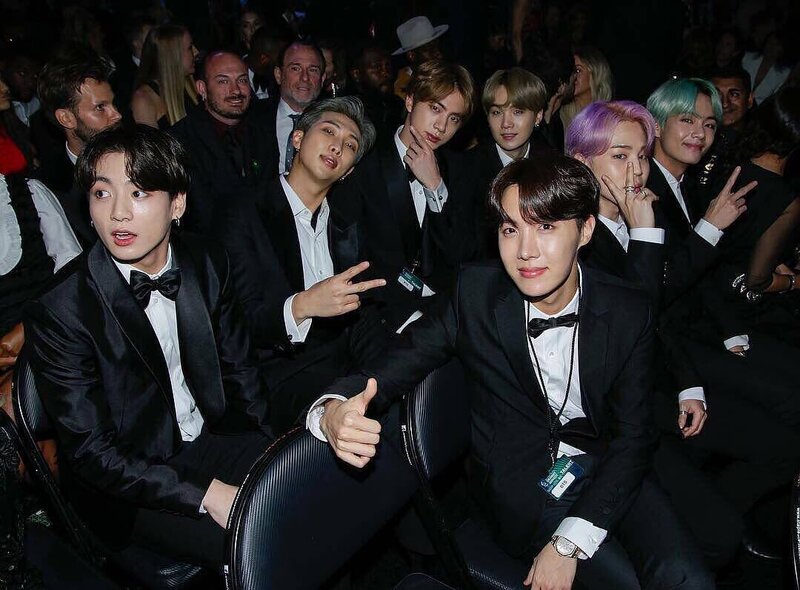 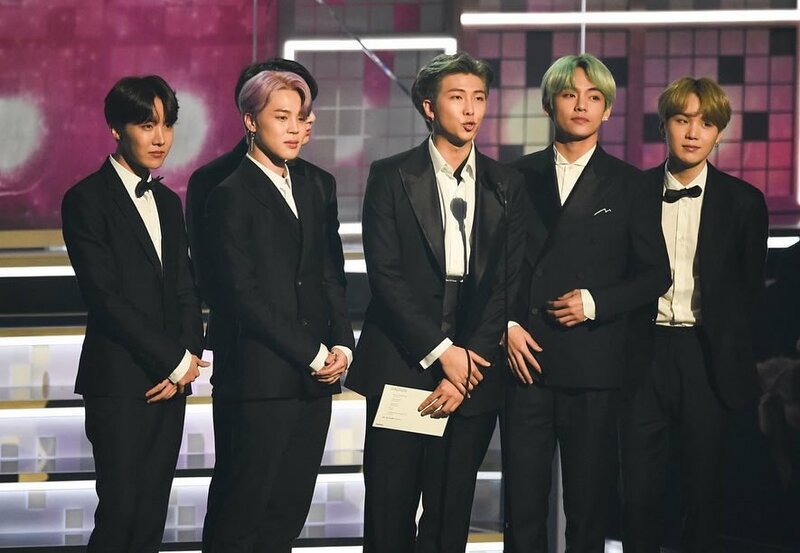 The boys' attendance at the 2019 Grammys also made a historic first mark of a Korean band attending the prestigious event, and BTS went on to present the award for the Best R&B Album to H.E.R. 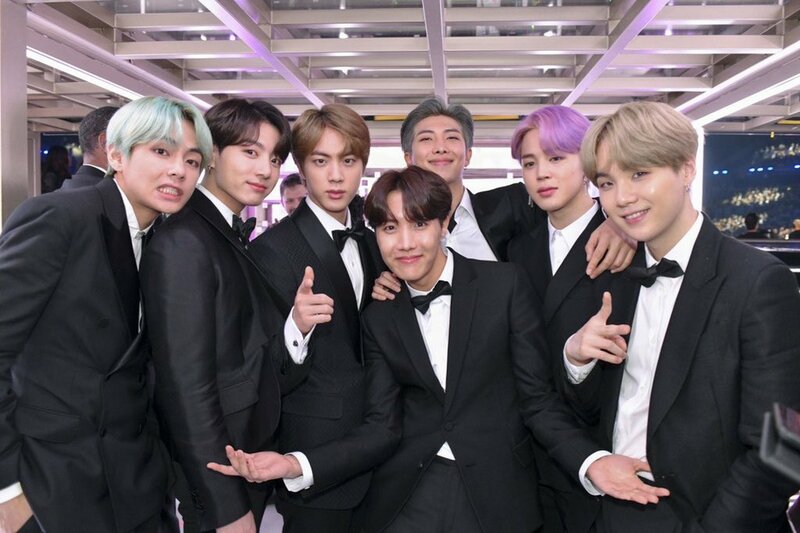 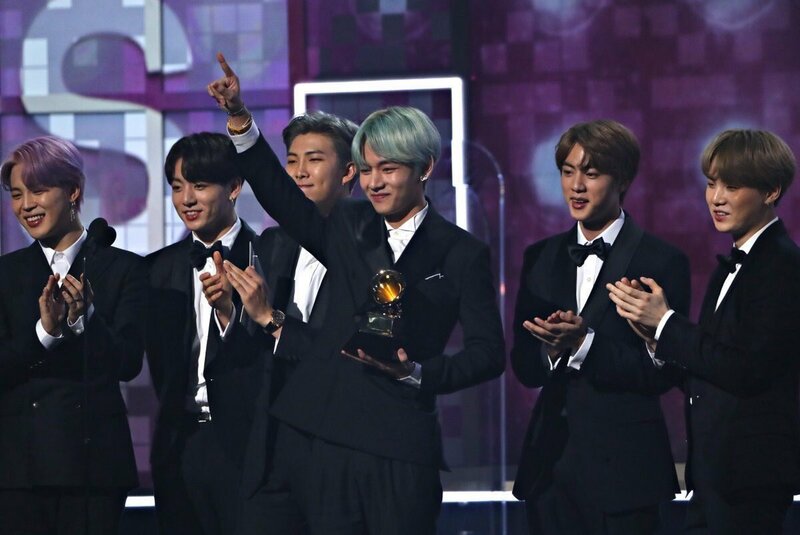 The seven member band promoted their native South Korea at the event, wearing bespoke tuxedos by South Korean designer JayBaek Couture, while J-Hope showed off a design by Kim Seo Ryong. 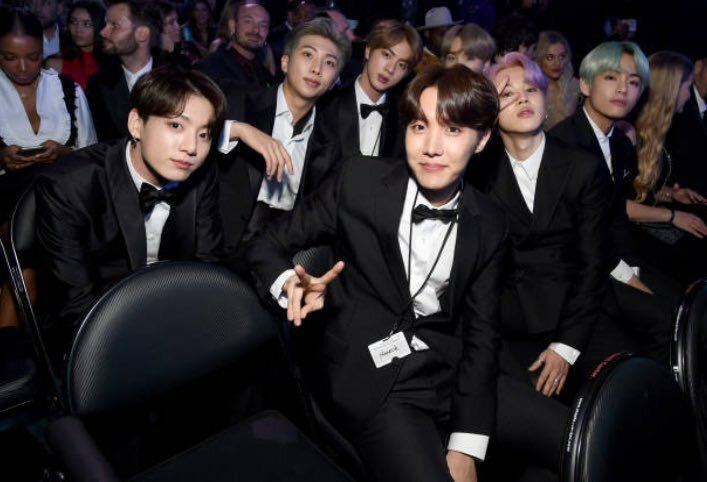 BTS also arrived at the event in a Hyundai, a car by South Korean manufacturers.